With over 4 million articles, Wikipedia is an invaluable resource, whether you're throwing a term paper together at the last minute, or putting together documentation for your annual Festivus Airing Of Grievances. But follow enough links, and you get sucked into some seriously strange places. We explore some of Wikipedia's oddities in our 4,415,922-week series, Wiki Wormhole. What It's About: Think you survived the holiday season? Think again. The holidays never end in America! Wikipedia reminds us of this grim fact with an extensive list of special days (and weeks, and months) created by Presidential decree. They range in importance from widely-celebrated federal holidays like Martin Luther King Day and Veterans Day to such obscure observances as Leif Erikson Day and National Sanctity Of Human Life Day (not to be confused with Life Day from the Star Wars Holiday Special). Strangest Fact: D.A.R.E., the program aimed at secondary school students intended to discourage them from using drugs, has its own holiday. The program has been widely criticized for using half-truths to supports its message, and falsely equating the effects of soft and hard drugs. In fact, a 1992 study found that kids exposed to the program were actually more likely to use some kinds of drugs, and the program was also found ineffective or actively harmful by studies in 1994, 1995, 1998, 1999, 2000, 2001, and 2007. (D.A.R.E. spent $41,000 trying to suppress the ’94 study), and yet the program soldiers on, with the second Thursday in April National D.A.R.E. Day. Controversy: Not much, unless you really think Impaired Driving Prevention doesn’t deserve its own month. But there are three holidays on the list that for whatever reason didn’t stick—all of which were created by Ronald Reagan. In 1982, the Gipper named March 21 Afghanistan Day, recognizing that country’s struggle against the USSR. He also dubbed June 14 Baltic Freedom Day, which was canceled when the Baltic states actually did gain their freedom, also from the USSR. 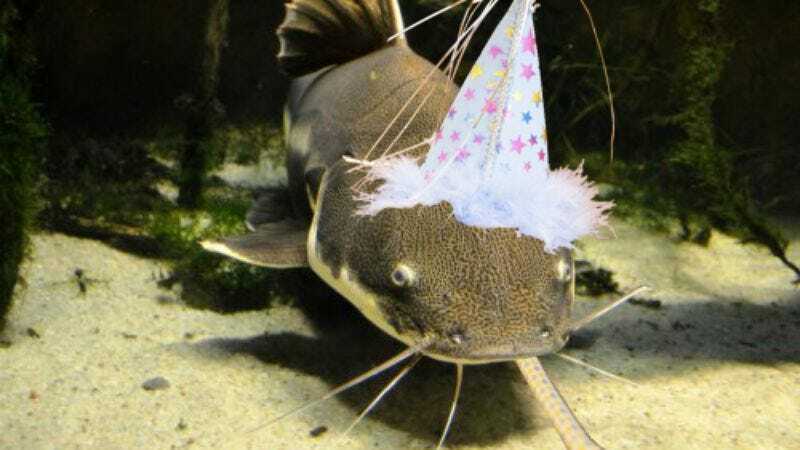 Less political was National Catfish Day, “in recognition of the value of farm-raised catfish,” which the Presidential Proclamation calls “a tasty delicacy” and “a nutritious, low-calorie source of protein.” For whatever reason, the holiday didn’t catch on and wasn’t celebrated in future years, if it was ever celebrated at all. Thing We Were Happiest To Learn: Even month-long observances get a summer vacation. While October and November each have seven simultaneous titles (November is National Military Family, Hospice, Adoption, Family Caregivers, Alzheimer’s, Diabetes, and American Indian Heritage Month), July and August have no such designations. Oddly, National Hispanic Heritage Month starts mid-month and spans September and October, so October actually has 7 1/2 designations. Thing We Were Unhappiest To Learn: The Red Scare is still alive and well in holiday form. May 1 has traditionally been a worldwide holiday for the labor movement, commemorating the Haymarket Massacre, when peacefully demonstrating strikers were killed by a bomb blast in 1886. As American politics have long associated anything pro-labor with Communism, Dwight Eisenhower replaced May Day with not one, but two national holidays. Law Day, which began in 1958, and the Orwellian-sounding Loyalty Day the following year. (During the first Red Scare in the 1920s, the day was named Americanization Day, although it didn’t have Presidential imprimatur until Ike came along). Also Noteworthy: Sadly, National Dairy Goat Awareness Week (in June, although it moves around a bit), doesn’t have its own Wikipedia page (get on that, somebody! ), so we’ll just point out that Bill of Rights Day (December 15), is almost as far away as you can be from the only holiday on the list specifically forbidden by the Bill of Rights (National Day of Prayer, the first Thursday in May).